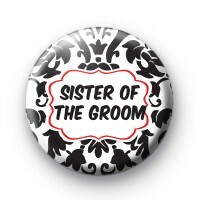 Black and red sister of the groom badge. hen party badges. Stag party badges. Wedding badges.